It's 1883. Thaniel Steepleton returns home to his tiny London apartment to find a gold pocket watch on his pillow. Six months later the mysterious timepiece saves his life, drawing him away from a blast that destroys Scotland Yard. At last he goes in search of its maker, Keita Mori, a kind, lonely immigrant from Japan. Although Mori seems harmless, a chain of unexplainable events soon suggests he must be hiding something. When Grace Carrow, an Oxford physicist, unwittingly interferes, Thaniel is torn between opposing loyalties. 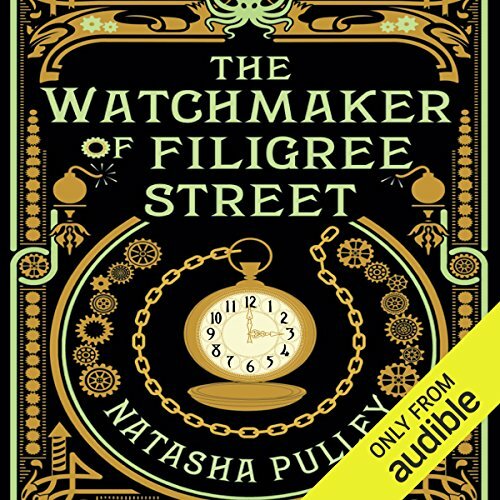 The Watchmaker of Filigree Street is a sweeping, atmospheric narrative that takes the listener on an unexpected journey through Victorian London, Japan as its civil war crumbles longstanding traditions, and beyond. Blending historical events with dazzling flights of fancy, it opens doors to a strange and magical past. 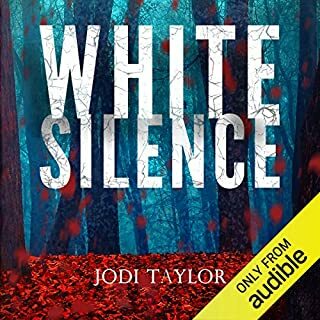 ©2015 Natasha Pulley (P)2015 Audible, Inc.
A truely fascinating story that drew me in. I loved the three major characters who slowly came together and found their place. Partly magical realism and partly love story it will surprise you. The narration was such that it did not distract from the story. I recommend it if you enjoy twisting narratives. So much yes! 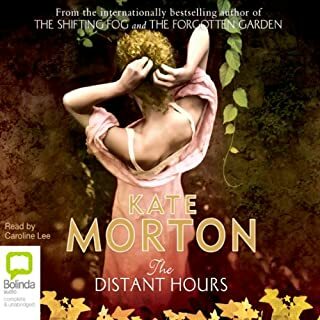 I loved the story, the author's way with words was just beautiful, her characters were so relatable, and Thomas Judd's narration was amazing- his accents were spot on and his voice had such a pleasing timbre. Everything about this was a fabulous experience. Mori- I adored him. That amazing mix of mystery and calm and danger and romance. *sigh* Loved him. Second favourite was katsu. In short- I want one! Yes. It was so hard to put it down and get back to real life. Once I completed it, I started it again!! This was just an absolutely pleasurable experience. The Watchmaker of Filigree Street tells the story of Thaniel, Mori, Grace, and Matsimoto, as their lives frame together. I admit to struggling follow early in the piece, when each character was being introduced but by the end I was in love with them all. No spoilers here but once the story fits together, you will love it too. 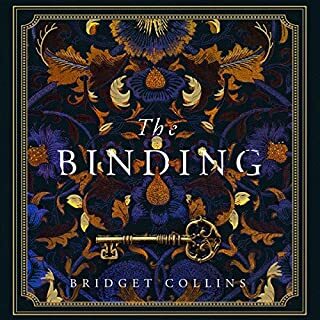 The Watchmaker of Filigree Street is filled with surprises, I enjoyed this much more than I expected and am greatly anticipating the sequel! Absolutely do not stop the clock please. The Watchmaker set up such an interesting world and premise, only to descend into over explained melodrama and under-cooked fantasy. It’s hard to imagine why there should be a sequel. 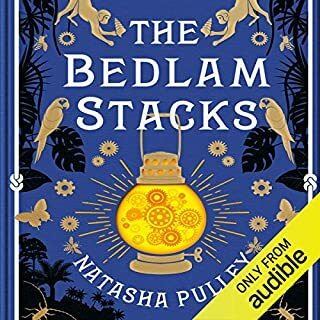 I read the printed version of this and Natasha Pulley's other book the Bedlam Stacks, before listening to both audiobooks. I will listen again many times. The magic realism and clockwork animals are as lovely as the friendship and coloured music. It had the same magic to it as The Night Circus, very captivating characters and storyline. Enjoyed the story most of the way through. The ending wasn't quite what I expected. There is so much going on in this book that it’s hard to isolate just a few things I liked. I’ll talk about a couple here, but there are so many great parts in this book. The Watchmaker of Filigree Street sets a touching love story against a historic time of social and political unrest — Irish terrorists are bombing London in protest of British rule; women in England and other parts of the world are dissatisfied with their inability to vote and restricted independence; and Japan’s feudal and agrarian society is fighting a losing battle against the influence of Western culture and technology. After doing a little web surfing, I discovered that a lot of the history relayed in the book is accurate, including the bombings that are central to the story. I find historical fiction much more impressive when it can deliver a mostly-accurate history lesson at the same time it’s entertaining. Another part of this story I appreciated was the subtle descriptions of what true love really looks like. In one part of the story, Mori encourages Thaniel, who has synesthesia, to draw and paint when he sees when he listens to music. Mori insists on hanging the drawings on the wall, even though Thaniel believes they are worthless. Mori describes Thaniel’s drawings as much more interesting than the paintings he just bought by that depressed Dutchmen (referring to, I’m assuming, Van Gogh). 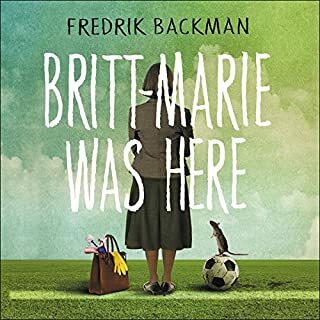 In another part of the book, when Mori visits Grace and Thaniel’s new home, he is obviously unhappy that the music room is unfinished and there is no piano, though Grace’s laboratory in the basement is completely finished. Later, the reader learns that Mori sees Thaniel as a pianist while Grace sees him as an ordinary man who occasionally plays the piano. This makes a difference to Thaniel and affects his future choices. These are subtle parts of the story, but they say quite a lot about the relationships between the characters. The narrator, Thomas Judd, did a great job with the voices. As I was listening, I didn’t think there was a lot of obvious variations in voice; but in hindsight, I never had any trouble distinguishing between characters. In particular, Thaniel’s, Mori’s, and Grace’s voices were perfect for their characters. This is just a fraction of what is so fascinating about The Watchmaker of Filigree Street. There are layers and layers of personal and social commentary in this book that, though presented in a historical setting, are so appropriate for today’s culture. Really there isn’t much about this story I didn’t like. I only want to note that it is a slow, quiet story. For some people, slow and quiet stories can be hard to read and even harder to hear. Even though I thoroughly enjoyed this story, I found my attention wandering at times. But if you like the slow and quiet story, then give this book a try. It’s pretty impressive. Copy provided by author/publisher in exchange for an honest review. Review courtesy of One Book Two book review blog. The book starts off slowly and I found myself put it aside from time to time. But it gradually built to a great pace and narrative, with a surprising ending that was delightful and touching. Worth sticking through to the end. I went back and re-read others' reviews to see what was liked and disliked about this book so that I could see how my review might stack up. 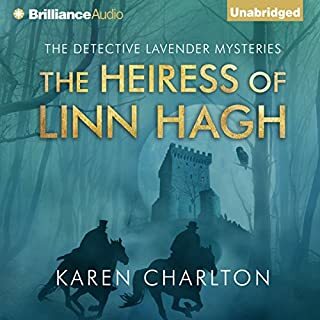 I must say that I enjoyed the book and did not agree with most of the negatives listed by audible reviewers. I thought the story was fascinating and the ideas and suppositions that were generated within the story about pre-determination and whether one is able to change their destiny were fascinating. I liked Mori and Thaniel a great deal; however, I did not find Grace to be a very charming or personable character. She was very distant and academic. She was obviously intelligent but her inability to connect with most people was disconcerting. She was openly hateful and dismissive to her own parents and acted very narcissistically. I am glad she had some measure of happiness at the end of the story, but I felt she still had a looooong way to go before redemption. To the reviewer who was angry with the homosexual story line. I am sorry if you were put off by this, but it was handled exceedingly well and there were no over-the-top displays of affection to deal with or even a large part of the story that spoke of this. But it was very integral to the story and if you had not determined that this is where the story was heading, then I fear you were not paying a lot of attention in the first place. One must listen closely to this story or you might miss small clues that will become important later in the book. I liked the way the story went back and forth in the timeline as a device to explain Mori. Thomas Judd was AWESOME with the narration of this story. Bravo! I would recommend this book as an awesome book when you are wanting to hear something intriguing and thought-provoking but not action-packed or vulgar. It was quite humorous at times and the descriptions of the clockwork items Mori designed were imaginative and made me wish for a clockwork Octopus. I will be watching for more from this author. I probably needed to spend more time on this intriguing book. On the plus side, it reminds me a bit of Haruki Murakami’s work. It reminds me as well that, while Murakami makes that blend of magic, science, and self-discovery look easy, it’s actually very difficult to pull off. In this one, we have a trio of central characters. 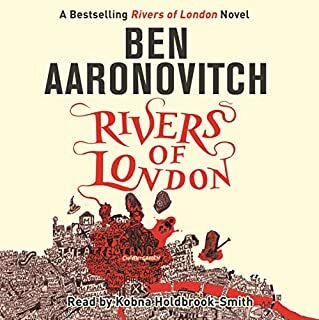 Thaniel and Grace are Londoners with assorted family issues, and Mori is a master clockmaker (and more) with strange powers for influencing others. At its best, the book raises striking questions about the nature of time and the capacity for an individual to make choices in a world that may be predetermined. The late touch that calls for a series of coin tosses as a means of escaping apparent predestination is really striking, both as a plot device and as a philosophical idea. The uncertainty at the heart of those questions is hard-wired into the story, though, and a chief result is that the often out-of-sequence narrative calls for real care in reading it. I don’t mind having to work my way through a book, but this one has an odd habit of seeming to say, “You should have been paying closer attention a chapter ago when things seemed light-hearted or concerned with detail.” As someone reading it quickly, I kept missing those details, and I often found myself bewildered. If I’d realized the book was expecting me to read in such a different fashion, I might have been more taken with its striking irregular rhythms. On the plus side, this held my interest even as I discovered there were huge parts I’d simply missed. Pulley has a capacity for strong detail to go along with the philosophical questions she raises, so I held on through my frequent confusion to see how it all wraps up. I have to agree with others who have complained that the start is simply too slow. I’d add as well that I found the conclusion confusing, but that may well be my fault since I allowed my confusion to grow as fully as I did. Bottom line: there seem to be real virtues here, but don’t underestimate it as you go in. It has the tone of a light read, but it demands your attention throughout. It’s a compliment to compare this to Murakami, but if it has some of the impressive weight of Murakami’s questions, it lacks the powerful lightness that Murakami manages to maintain through so much of what he does. I never really connected with the characters, but I detested the ones that I liked by the end. I liked Grace enough, but I was put off by some of her behavior toward the end of the book. I did NOT like Mori, though I can't really say way. Thaniel was too wishy-washy for my taste. Would you ever listen to anything by Natasha Pulley again? Just because The Watchmaker of Filigree Street did not work for me does not mean that I would avoid her writing in the future. This was her first novel, and I'm sure that her future work will only improve. What about Thomas Judd’s performance did you like? Thomas Judd did a great job of keeping all of the characters from different cultures distinct. He was able to mimic other accents without making them cartoonish. The book started off swimmingly, but it started to drag with the flashbacks (which didn't translate to audio very well). I loved the descriptions of all the locations, and Katsu, the clockwork octopus, was adorable. The Watchmaker of Filigree Street reminded me of The Night Circus, and I think TNC's fans would really enjoy this book. 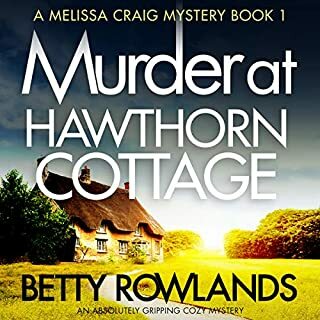 I am often dismayed when I know a plot before it unfolds but this one had a number of twists and turns. The ending was delightful. And not easily followed. Not sure what the point of all of it was. Interesting enough, but odd. What made the experience of listening to The Watchmaker of Filigree Street the most enjoyable? of cultures. The addition of Gilbert and Sullivan into the plot, as I am a big fan of G&S. in his treatment of the female character. If you could rename The Watchmaker of Filigree Street, what would you call it? Alternate realities and relative time create intriguing themes. What a lovely gentle book. 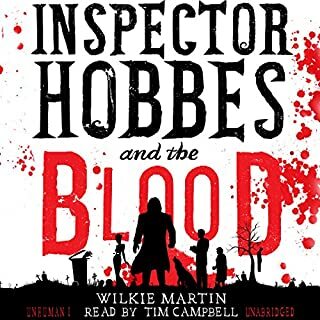 Not my usual kind of book so the author and narrator were new to me. However I will definitely look out for them again! The characters were well drawn and engaging. The narrator voiced them all beautifully and the story was fairy tail perfect. It did take me a few chapters to get into it but ultimately I'm glad I persevered. 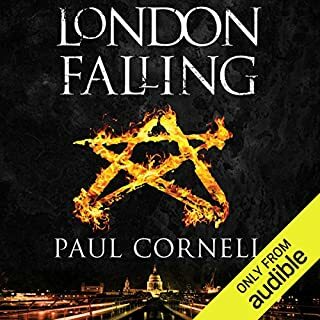 It's good to see other cultures included in a fantasy novel particularly one set in London. The characters turn out to be quite unlike any I've encountered before and if you are able to predict the story arc then you clearly have special powers! I don't like things too steampunky but this was fine - no airships. Huzzah! 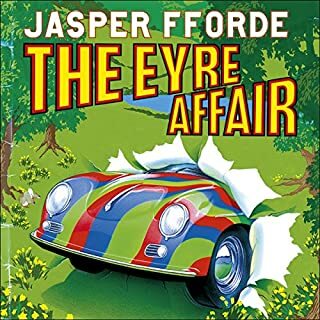 The story is very good, but flags in places and the ending very very rushed - but I found the performance by Thomas Judd to be excellent - much more subtle accents than usually provided which underlined a key plot-line - very well done indeed. The premise is a bit science-fiction, but because of the West to Japanese cultural exploration, the 1000 Autumns of Jacob de Zoet by David Mitchell. I liked the relationship between Grace Carrow and Matsumoto, particularly the early scenes in Oxford. The sadness of Grace when she realised her hopes and dreams may get dashed. Can't believe it's a debut novel! 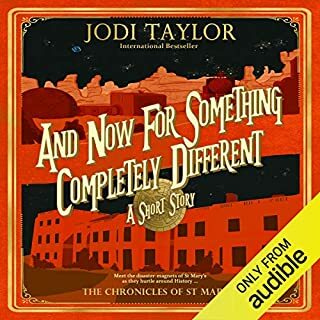 Where does The Watchmaker of Filigree Street rank among all the audiobooks you’ve listened to so far? 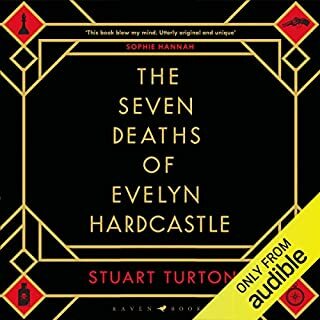 Ranks within the top twenty audiobooks I've listened to. What was one of the most memorable moments of The Watchmaker of Filigree Street? The explosion during the operetta was one of the more memorable moments. Which character – as performed by Thomas Judd – was your favourite? Loved the moment when Mori and Thaniel called each other by their first names. This book has a very slow start. You need to be a good third of the way into it before the pieces start to fit together, so if you are someone who isn't bewitched by prose for its own sake or you need dropping in the middle of the action, then this is probably not for you. That coupled with Thomas Judd's peculiar way of half swallowing words during the first third of the book is a bit off-putting. However, persevere and you will be rewarded. On the surface this appears to be a straight forward tale but it is multi-layered, shifting and ultimately very satisfying. What is truth? Well in the end you'll find yourself doing as Thaniel did and making up your own mind. 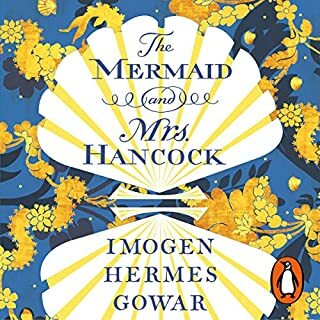 Aside from the richly depicted historical setting, the political intrigues of both England, Ireland and Japan, this is an unusual and gorgeously woven love story. Part of it's charm for me was that you can only really be sure of Thaniel throughout the entire story. Any of the other characters might be lying or giving abbreviated accounts of the truth. You come to feel as torn as Thaniel over Grace and Mori, which is where the slow build up pays off with an explosive finale. This is one of the best books I've read this year. As fiendishly clever as clockwork and quietly encompassing some big ideas on cause and effect, probability and remembered futures - look back and marvel where a different decision was nearly made each time. Definitely one to bring your brain for but still fascinating, entertaining and haunting. Highly recommended. Deep, dark and thoughtful, like Let The Right One In for fate and chance instead of vampires. It's hard to guess what's coming next and that makes it a good read. Not a conventional story and the main characters are also odd for the time period this is set in. I enjoyed being surprised on more than one occasion and the story drove on whilst I got my head around what I'd just heard. Somehow it reminded me of The Bone Clocks but not as polished or complex. 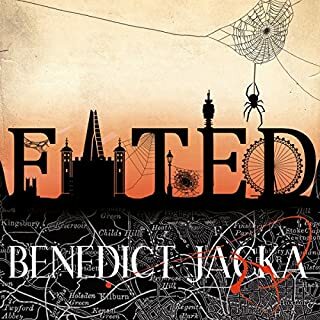 It took me about 6 chapters or so to get into this however it is mysterious in all the right ways and has some massive unseen plot twists that left me reeling. Utterly fantastic! 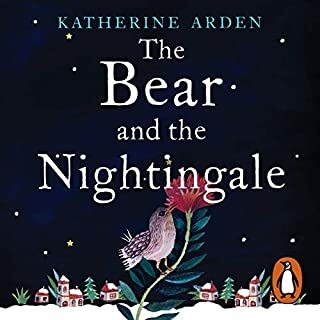 This story is full of twists and turns and is definitely for anyone who enjoyed books like His Dark Materials or Harry Potter. I hope Pulley writes more. The narration is marred a little by a repetitive tone in the actor's voice which grates after a while. I did manage to relax and enjoy it, however, and his characterisation is very good, indeed. Random gears makes it unpredictable, free. If you remember the future and control it through what appears to be serendipity, could you be trusted not to change every event to suit you? This is one of the many questions that arise from the peculiar world of Keita Mori and his creations, mechanical and otherwise. Thaniel Steepleton will become his best friend 1883 and his entire life will change through an act of terrorism, and a miracle of horology. 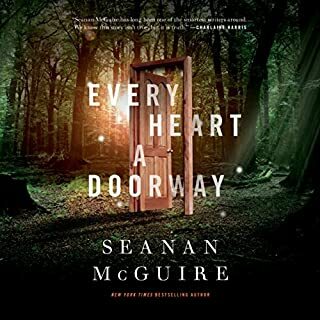 This is a beautifully written book that is magical and atmospheric, with a thriller at its heart that for me detracted from the magic and atmosphere the character and the period created with so much depth. Natasha pulley is very good writer, and a creator of worlds that become real and palpable like the creations of Mr Mori. Entertaining brimming with fresh ideas and a confidence in the writing that compels you find out and stay in movements of this story. 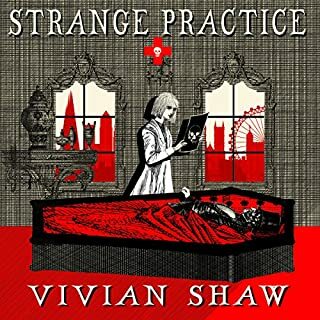 A confident first novel, and excellent narration. Well written apart from a couple of historical mistakes. Unusual topic, good character development and good plotting. I enjoyed this book very much and look forward to more from this author.